Do you know how long we recommend you keep your TASER weapons in the field? We've found that 5 years is about the amount of time it takes before wear-and-tear leads to less a dependable weapon with a greater risk of failure. You're familiar with the concept of a 5-year useful life. Ballistic vests, chemical sprays, and ammo all should be replaced after several years. And you know how hard officers can be on their equipment in the field. We want what's best for them—and that's a weapon that will work well during critical encounters. 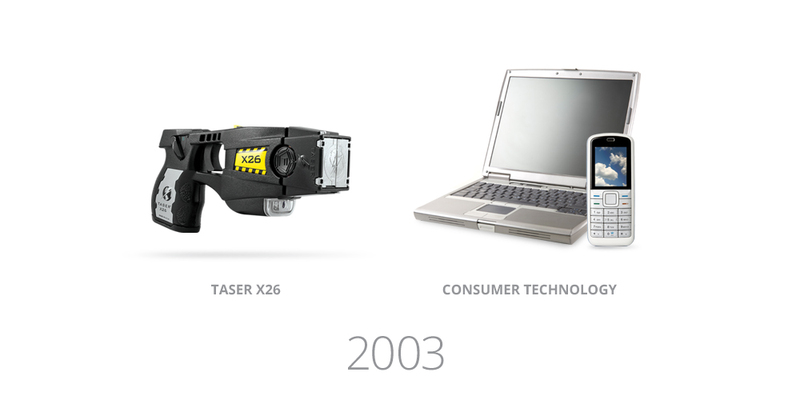 TASER weapons are similar to the phones and computers that you've upgraded every few years. Newer technologies feature advanced capabilities that make them safer and easier to use and even more effective—and our Smart Weapons are no exception. You can read more about what sets the X2 apart from older models like the X26E here. 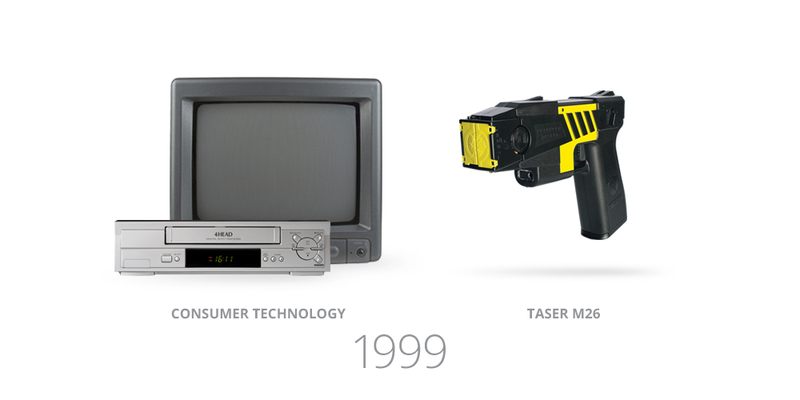 Do you know how old your TASER weapons are? Useful life guidelines aren't helpful if you don't know the age of your weapons. For reference, we've compared some of our older weapons with other pieces of technology that were released around the same time. Enjoy this blast from the past. Do your weapons need to be replaced? Consider the Technology Assurance Plan, which replaces your weapons with the latest models after 5 years.